ASUS just took the wraps off Zenbo Junior! These images are literally the first ever seen! The image above shows the original Zenbo on the left, with the new Zenbo Junior on the right. The size difference is astonishing! 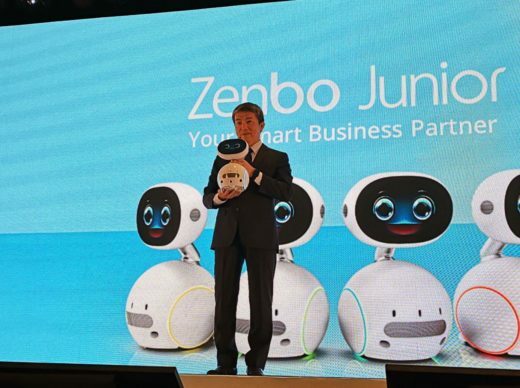 The official unveil of Zenbo Junior was in Malaysia. We aren’t sure how to interpret the slogan “Your Smart Business Partner” as it pertains to Zenbo Junior. In the press release there is a clear focus on business and education. Is ASUS not marketing this towards the home market? 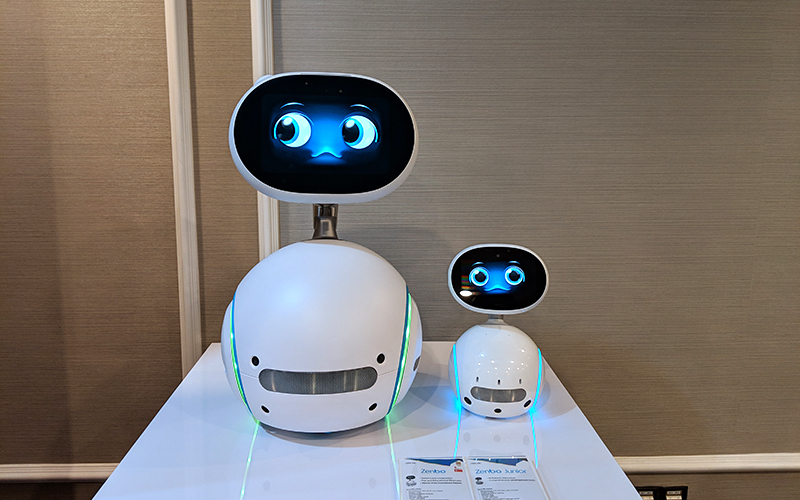 We certainly hope that they don’t limit access and availability to Zenbo Junior because as we all know, the original promise was to have Zenbo as a global release for home use. 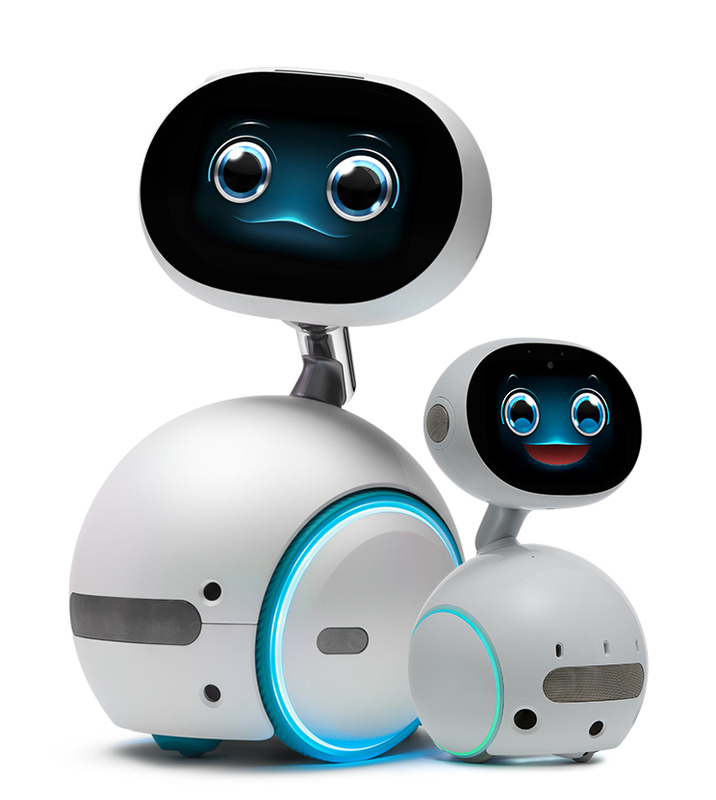 I would suggest to ASUS that most everyone would gladly add a Zenbo Junior to their home! Size wise, Zenbo Junior is half the size of the original Zenbo. Weight wise, Zenbo Junior is far lighter at 2.75kg compared to Zenbo at 10kg. 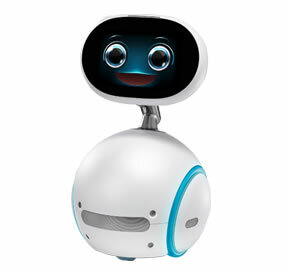 It has been noted that Zenbo Junior comes with a 2D camera and not a 3D camera that is found on Zenbo. The 3D camera allows for depth sensing and would be more ideal for a robot. At these early stages, it’s unclear if the Zenbo Junior specs are set in stone or if they will be modified by the time of release date. As mentioned ASUS is gearing Zenbo Junior towards business and education. To that end, ASUS has improved the development tools to streamline the process and to make it easier to program the robot. The Zenbo SDK lets you controls vision, movement, speech and internet of things. Zenbo Management Console and the App Builder Pro are tools that are geared towards business, enterprise and education. So at this point should you be excited or happy about Zenbo Junior? As a home user this doesn’t look promising. However, with some Zenbo news, perhaps this means the original Zenbo in all its glory will actually make it to more markets. There is certainly a big question mark around what ASUS is doing for the home users wanting Zenbo. When this robot was first introduced, it was to be for everyone all over the world. So to wait this long and to see a business and education robot? A tad disappointing. That said, it’s entirely possible that ASUS could make Zenbo Junior a retail/home product as well. Let’s hope! Please let me know when Zenbo or Zeno junior will go on sale in the United States. Thanks for commenting and visiting. We hope to see an FCC submission for Zenbo Jr. which means it’s on the way to the US market. No word yet though.